Obviously the front driver’s tire needed to get swapped out, so I got the full size spare out of the trunk. 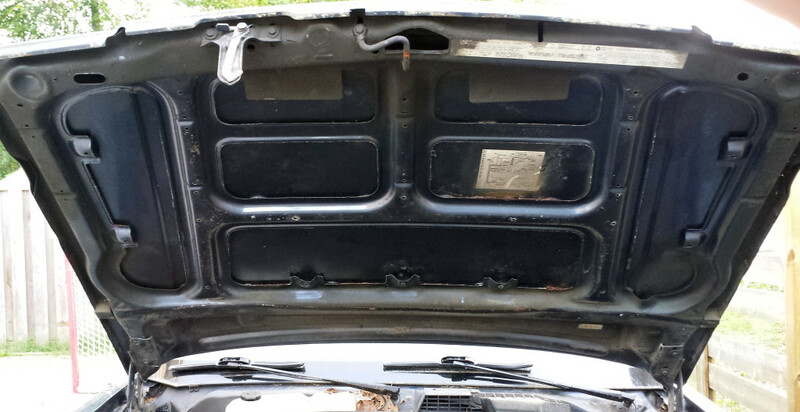 The trunk pan under the spare is in great shape, which is comforting. I jacked the car up and swapped the wheel out with no issues. I removed the front license plate holder (because it is ugly and just screwed right into the plastic). Also, the insulation under the hood was in rough shape so I removed it. I’ll replace it later. 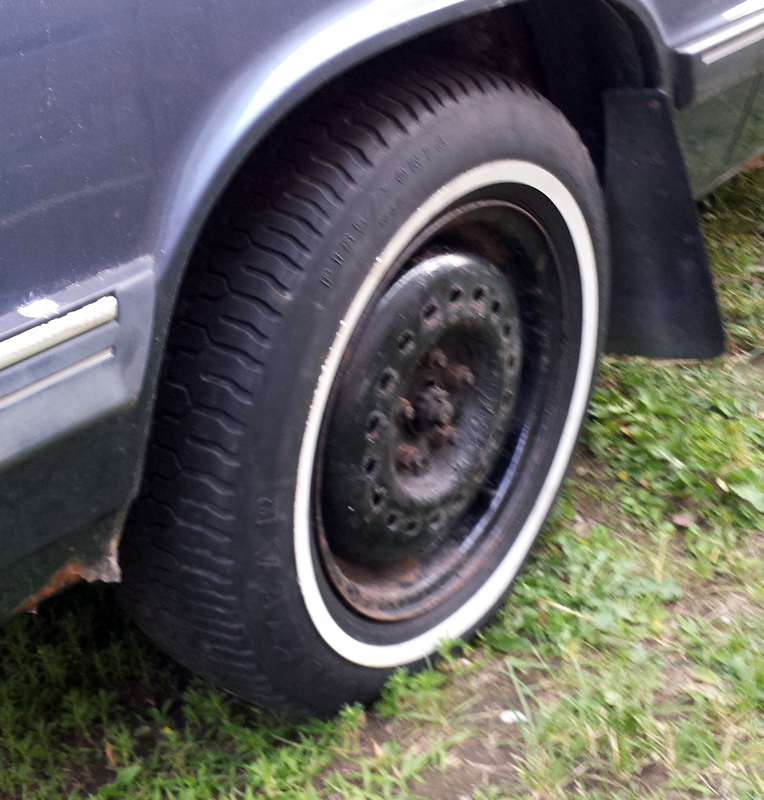 A fresh new (spare) tire! Goodby gross and ratty hood insulation stuff.